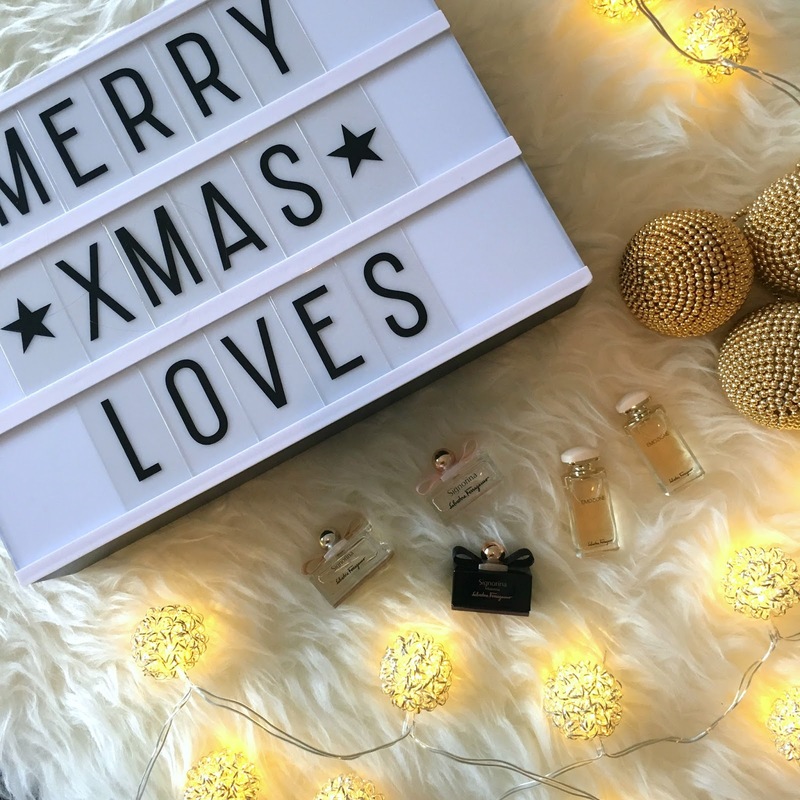 I have put together a Christmas Gift Guide with the help of the Visa Bonus Card, in order to alleviate your task of finding the perfect Christmas gift for the women in your life. The Visa Bonus Card not only offers a great bonus program and attractive discounts, but also comes with a insurance coverage for your travels and your shopping. By using the Visa Bonus Card for your shopping – whether it is for food or other purchases – you can collect points. Even local grocery stores, such as Migros, Coop, Aldi, Lidl and Co are part of the Visa Bonus Card program. Besides these partners, many Swiss companies have partnered with the Visa Bonus Card to offer you the possibility to collect bonus points while shopping from their stores. The Visa Bonus Card’s „kick-back“ option offers the possibility to exchange the collected bonus points into actual cash, which is credited to your account. Another great option to use the accumulated bonus points, is to exchange them for online shop vouchers, which can be used on a variety of different partner sites the Visa Bonus Card has. Besides rewarding you for your shopping, the Visa Bonus Card also offers discounts on car rentals, hotel bookings, ski passes and cable cars in the Swiss mountains. Furthermore, it also comes with a travel insurance, so that you can travel trouble-free. If this cool card has spiked your interest, make sure to check out the Visa Bonus Card by clicking on this link here. The Instax Mini 8 offers you the possibility to capture candid moments. There is no scrolling through the 1000 selfies you just took, no facetune nor photoshop, just real moments that are captured to be remembered later on. There is a variety of different instant cameras on the market at the moment, even some where you actually have a screen and where you can select which picture you want to print. Some even offer the feature to edit the pictures before printing them, which is a really cool feature as well. An example of such a high-tech version of a – not so – instant camera is the Polaroid Snap Touch Instant Print Digital Camera with LCD Display and Zink Zero Ink Printing Technology. What a fancy name! 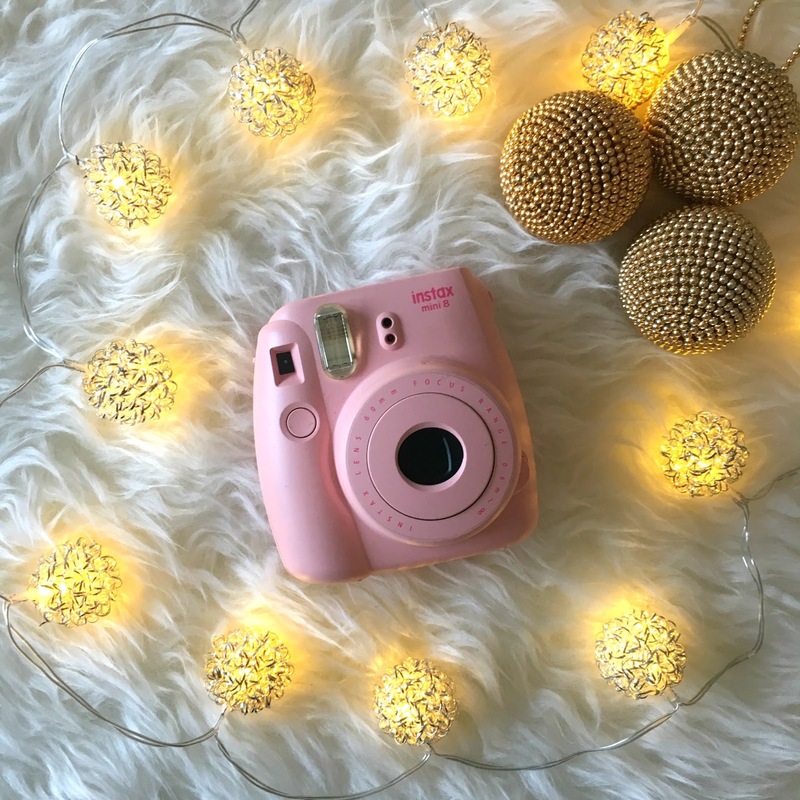 The Instax Mini 8 comes in a variety of different colors – pink, white, purple, black, and red to name just a few – and really is great fun. It strongly reminds me of my very first camera I received from my godfather when I was about 6 years old. Seeing the Instax Mini Polaroids develop is like a flashback to a very impatient 6 year old Chloé and has great nostalgic value. 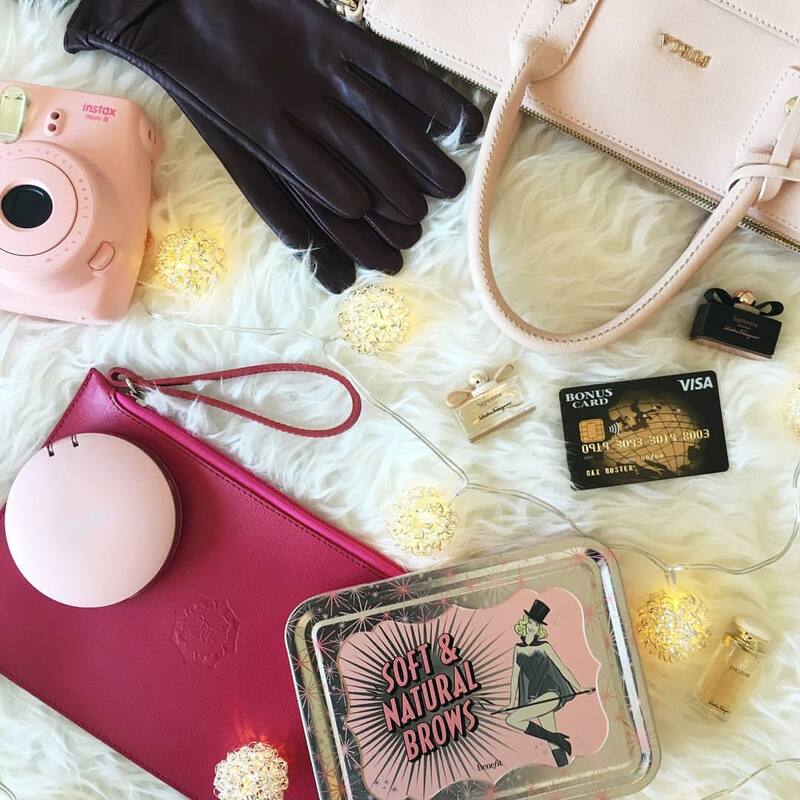 The Benefit Brow Kit comes with a range of different products to give your brows a natural look – as promised. The brow pencil has an angular shape and comes with a little brush at the other end of it, which actually had me so excited, because I need this little brush. Having eyebrows as moody as mine means that you definitely need this little device to regain some control. The highlighter gives you the possibility to sharpen your brows look and the transparent gel helps set your entire look, once you’re happy with how it all turned out. The box also includes stencils that are supposed to help you get that perfect brow look. This is the only item in this set that I am slightly skeptical about and I haven’t tested them yet. 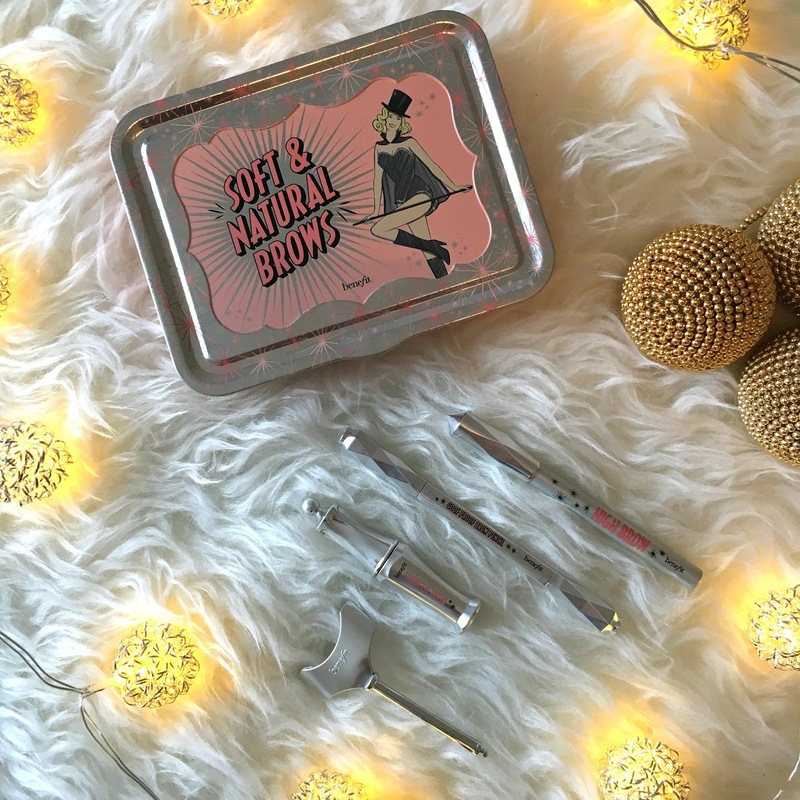 Nevertheless, the set is an awesome gift for every girl that likes makeup and that needs her brows to be on fleek! This Cashmere shawl is one of the softest and most comfortable things I have ever owned and I am not saying this because I actually work for De Marquet – which I do, by the way. Ever since I got this beauty a few months ago, I have practically been living in it. 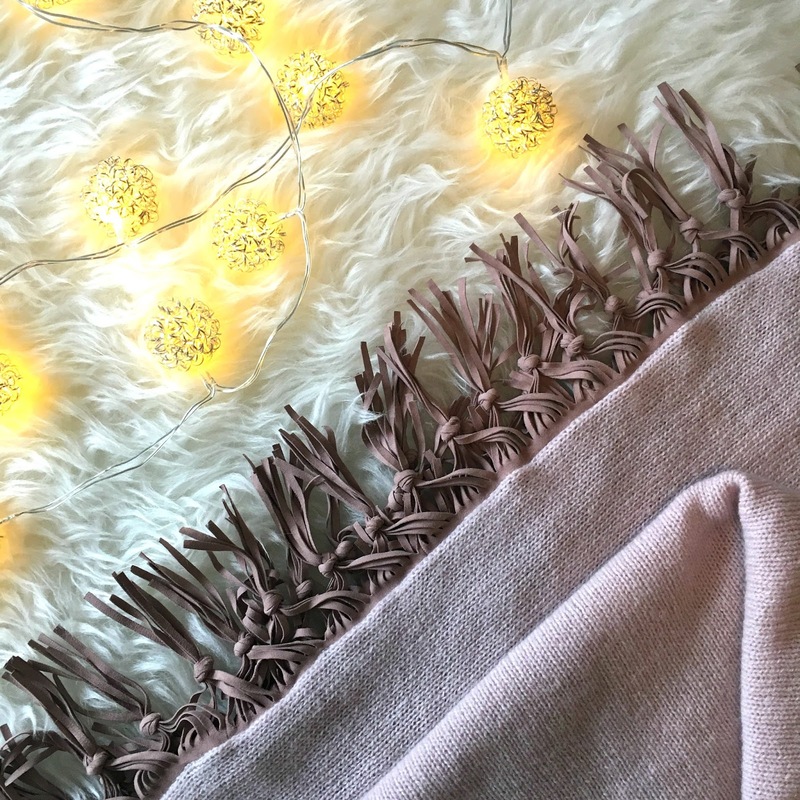 It’s super big and fluffy, which is perfect for the cold season and I also love how it looks with its suede fringes.If you want to see how I styled it, make sure to check out this blog post and if you would be interested in ordering one of these beauties, make sure to check out www.demarquet.ch. The HoldTight bracelet is one of my favorite piece to accessorize with. There are three different designs that are available, which all come in a variety of different colors. I love their classic look and their ability to elevate an entire outfit. Just something I love! When I saw this little device at the London Gatwick Airport I first had to laugh. What could be more cheesy and stupid than a compact mirror USB battery pack? It even comes with an incorporated ring light – I mean, could you get any more cliché than that? And then, I actually started to think about it for a minute – as you can tell, I had way too much time while waiting for my plane – and it dawned on me. This is actually brilliant! I never have a mirror with me and have to use my iPhone camera to check if my makeup is smeared all over my face and I constantly run out of battery as well. Hello Hyper marketing team, I am your target audience, nice to meet you. It took me about 3 minutes to decide I need this item in my life and I have to say that I haven’t regretted buying it one bit. Not only does it look cute AF, it comes with a three way cable, which means you don’t need to carry any additional cable with you and it has quite a big battery pack, which seems to last for a long time. I still need to test it out more to know how much of your iPhone’s battery it can actually fill, but so far, I’m super happy with it. 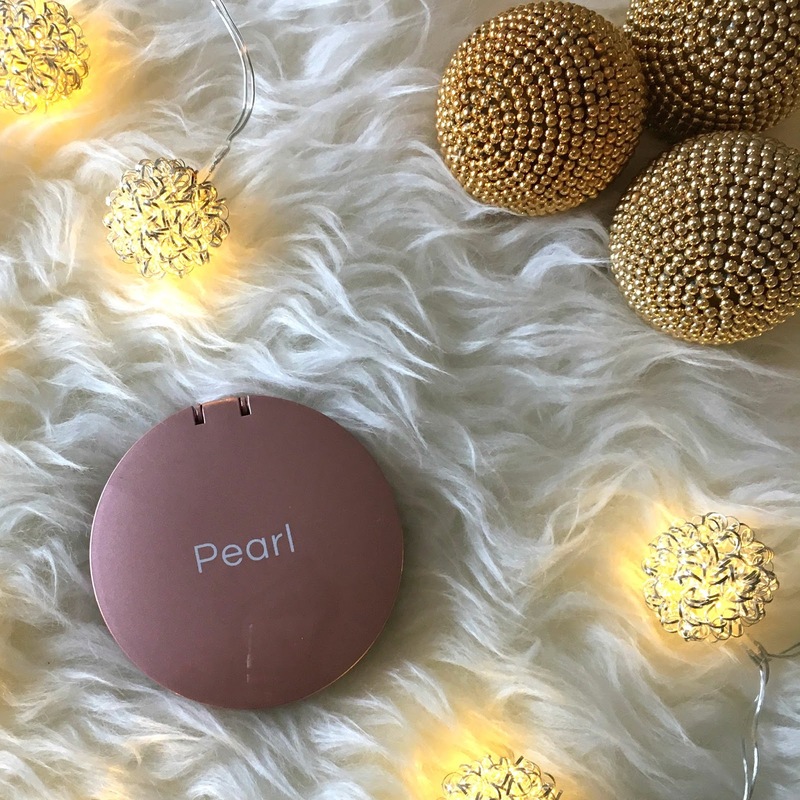 This really is a gift for a girly girl that is on the road a lot, so if your loved one falls into that category, I can definitely recommend this product! How better to show your loved one that you care about them, than by keeping them warm? 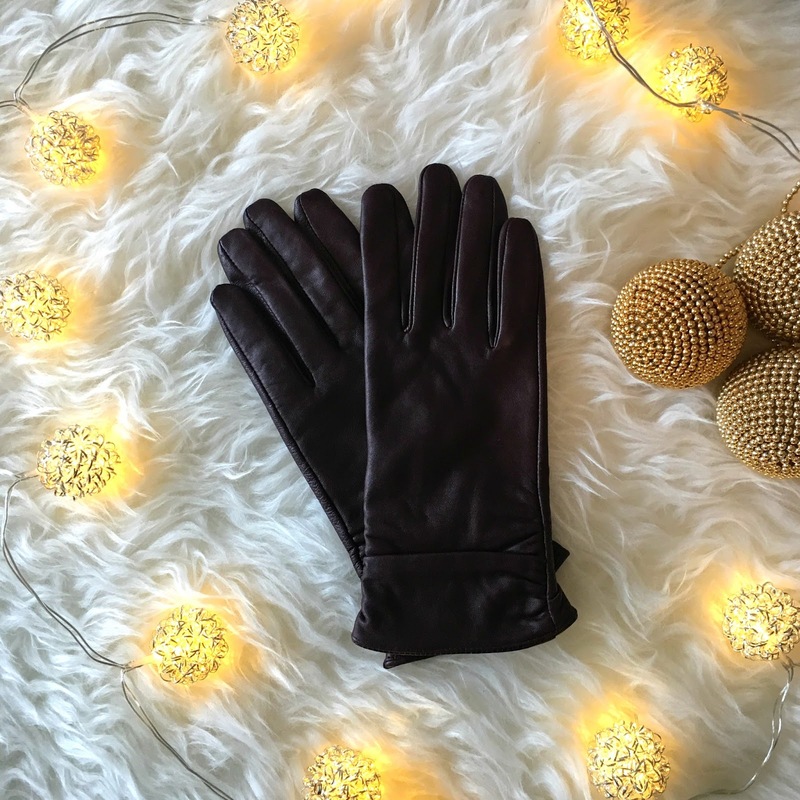 I have actually been gifted a pair of leather gloves in the past and I loved them. 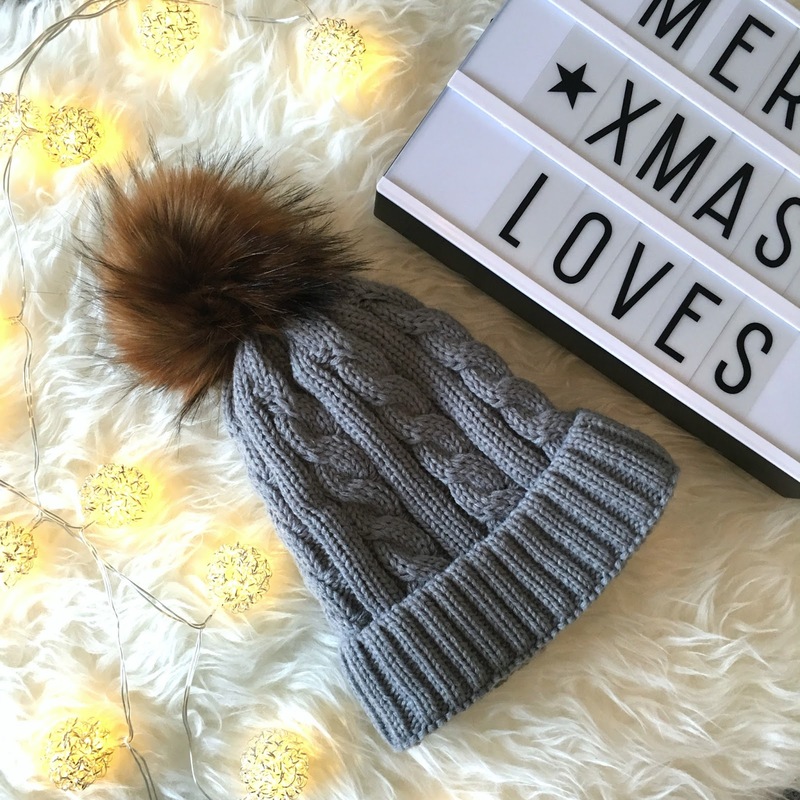 They are useful, stylish and they keep you warm – perfect! They come in all sorts of shapes, colors and materials, which ensures that you can find a matching one for every woman. The finishing obviously has an impact on the price and hence, you can find some for any budget. 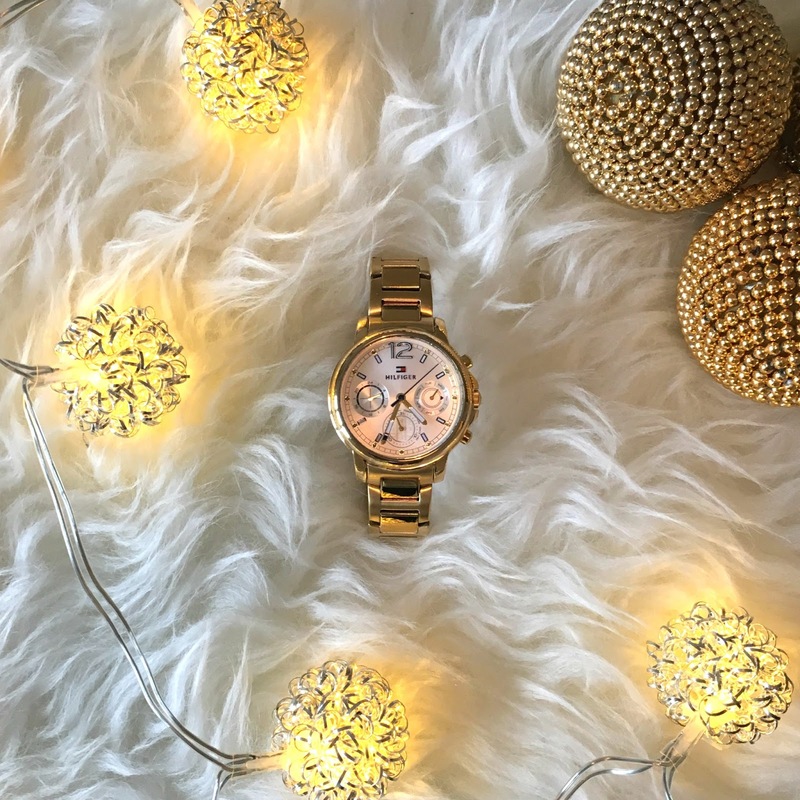 A watch can be a wonderful gift. I actually won this beautiful Tommy Hilfiger watch at the Christmas event from Globus in Bern. I was very surprised to suddenly have a package in my mailbox with this beauty inside and I’m sure that your loved one would be more than happy to discover such a gift under the Christmas tree. How could you go wrong with a fluffy bonnet? While travelling to England two weeks ago, I picked up a set of mini perfumes from the duty free shop at London Gatwick. I was walking through the store, where hundreds of perfumes were displayed and I just couldn’t decide which one to get. Choosing a perfume is such a difficult task, especially if you try to select one for a friend or loved one. 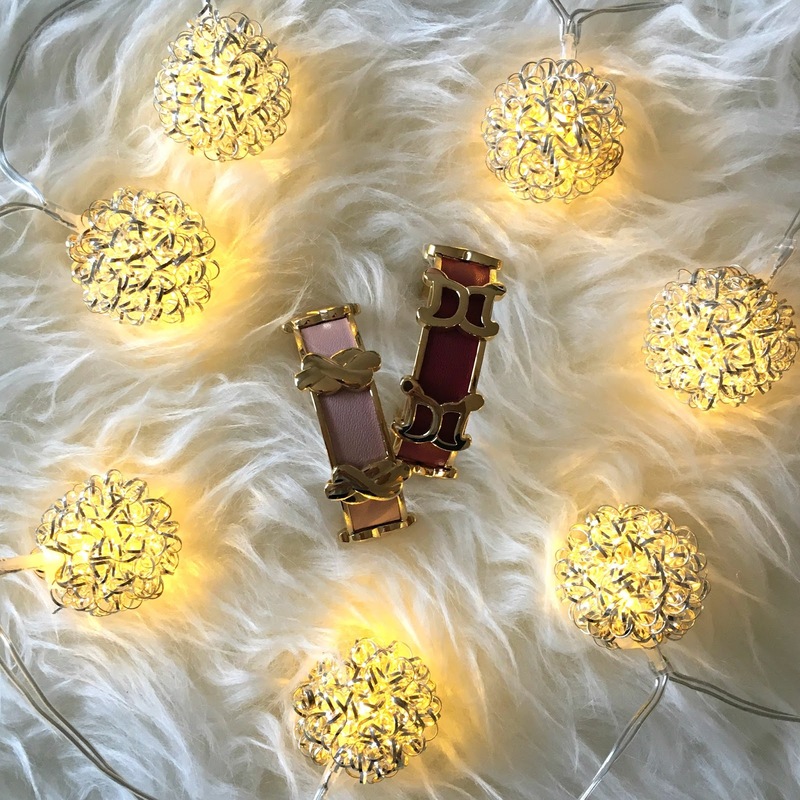 What if it’s a scent the other person doesn’t like?In order to avoid this problem, I decided to get a set of mini perfumes, which will allow me to test different scents, before choosing which one I will love the most. I think this is also a lovely idea for a gift and hence, it found its way into my gift guide. If the person you are searching a gift for enjoys travelling, why not offer her a De Marquet travel pochette? 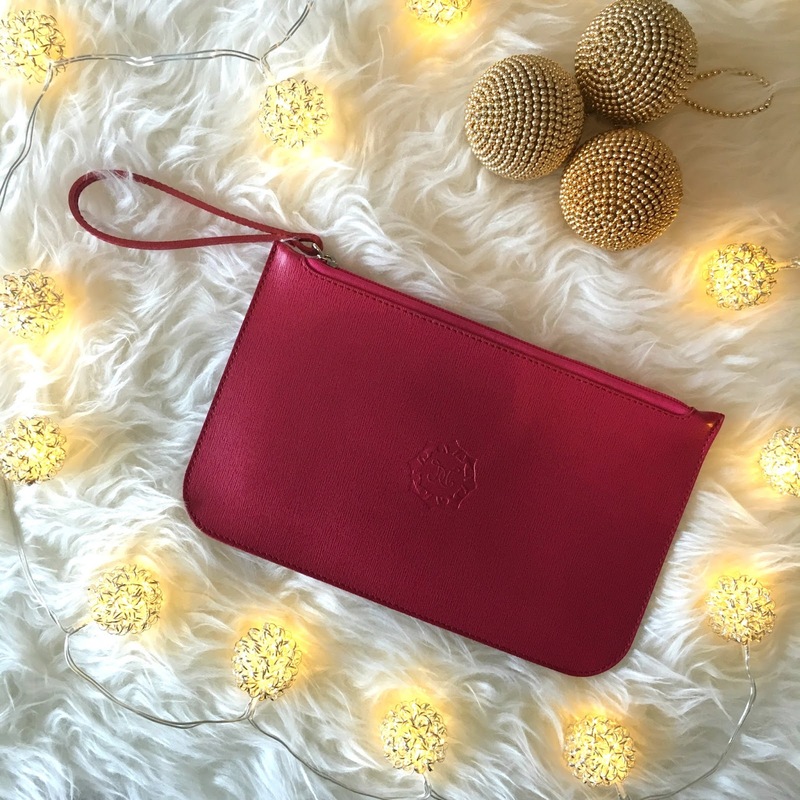 This handy little pouch can keep all your travel documents, hotel confirmations and other papers while you are jetting off to a far-away location. I used this pretty pochette two weeks ago, when I was travelling to London and I really enjoyed it. It kept all my little travel documents safe and helped me avoid the stress of not knowing where I put my plane ticket – which I normally stress about every 5 minutes, while at the airport. 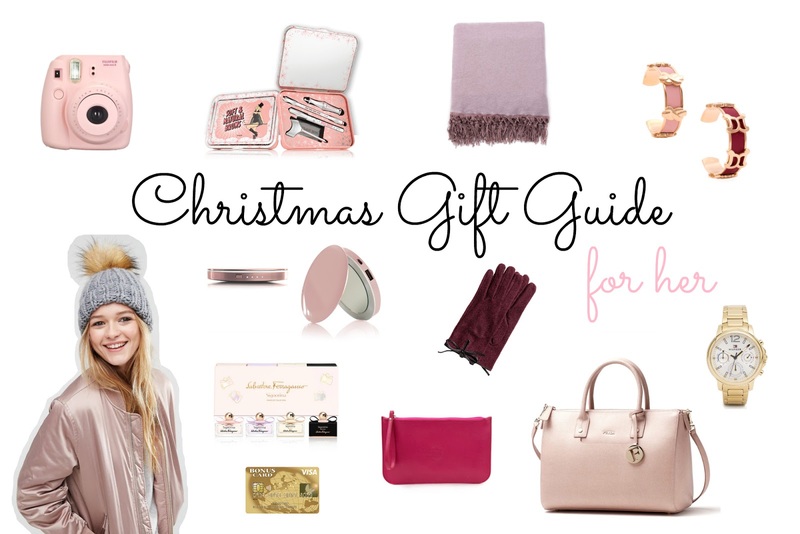 A handbag is a very generous, but also complicated gift to give to a loved one. Tastes in handbags can differ so greatly from one person to the next that I would strongly suggest to only venture into this territory if you are very sure of what you’re doing. 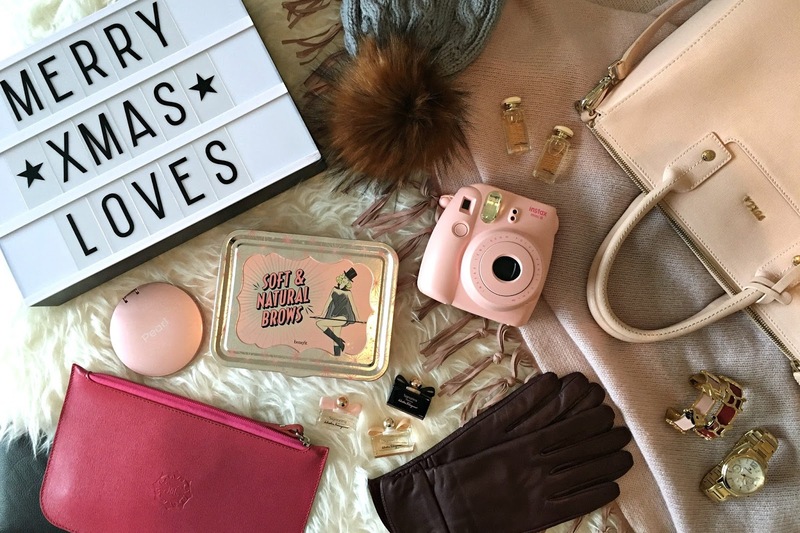 Don’t get me wrong, I would probably start crying happy tears if I was to unpack a designer handbag on Christmas, but I would feel very bad if it would turn out to be one I wasn’t particularly fond of. One of my current favorites is the Linda Satchel by Furla, which comes in a variety of beautiful colors. I personally fell in love with the rose quartz one, which has been part of my handbag collection for the past year or so. The size is perfect for an every day bag and its straps allow for a hand and shoulder wear. Furla really is one of my favorite brands for handbags, but there is an infinite amount of other brands that offer beautiful bags. I personally love Louis Vuitton, Longchamp and – of course – De Marquet. 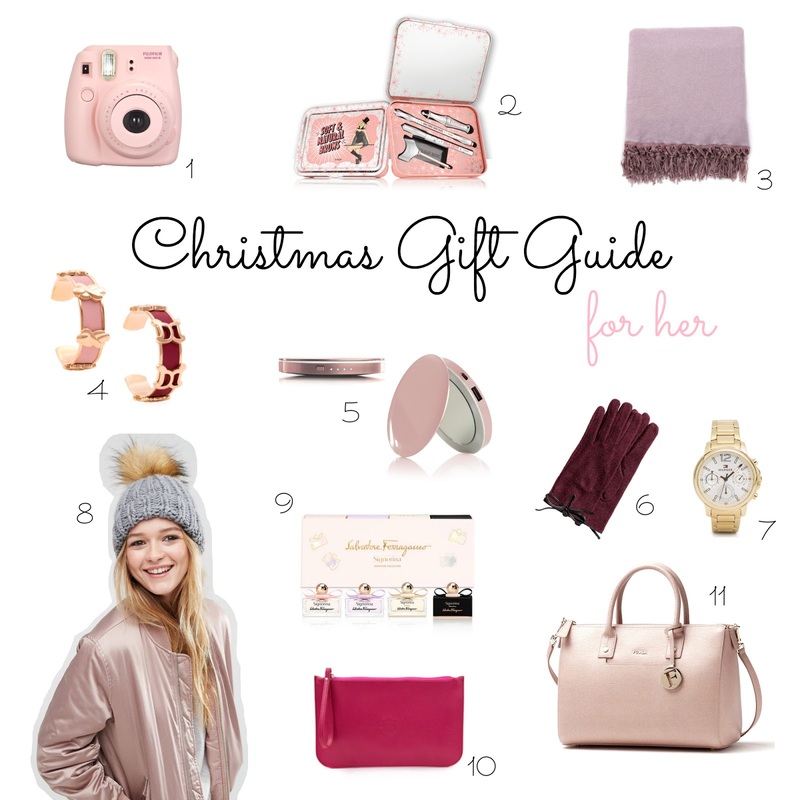 I hope you have enjoyed this Christmas Gift Guide. *This is a sponsored post. Thank you very much to the Visa Bonus Card for their cooperation.